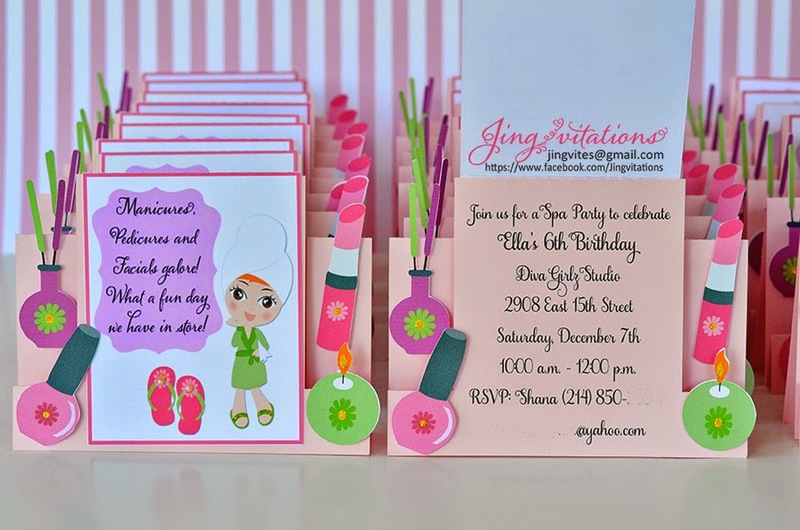 What better way to celebrate your little girls birthday than pampering her and her friends on her special day! These invitations, table center pieces and tags are adorned with glitters, pearls and gems. 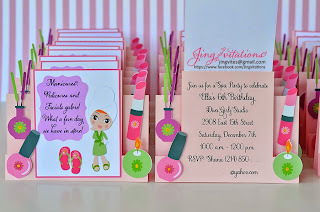 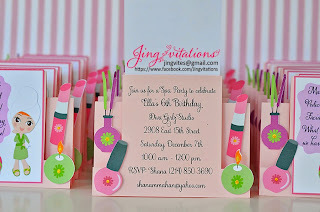 Invitations are in a unique center step design with coordinated colors and layers. 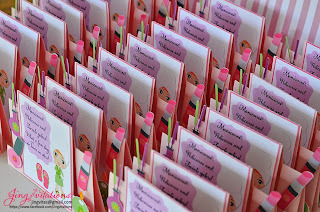 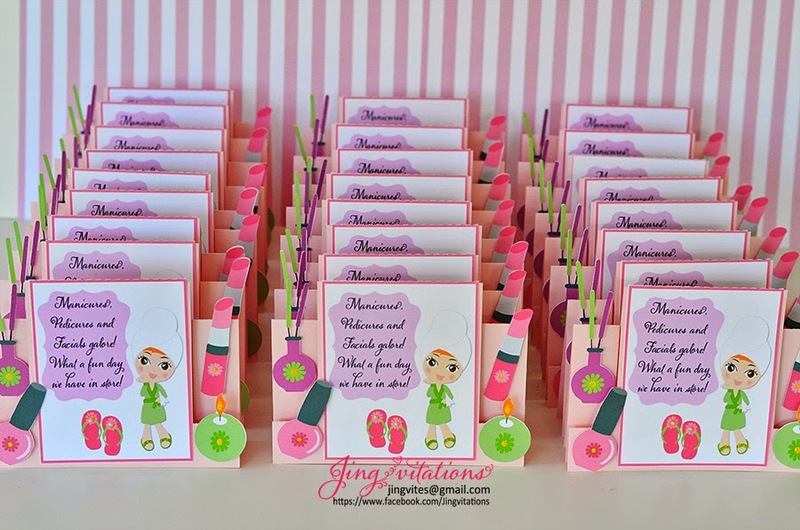 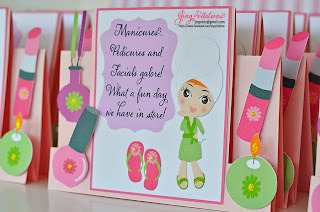 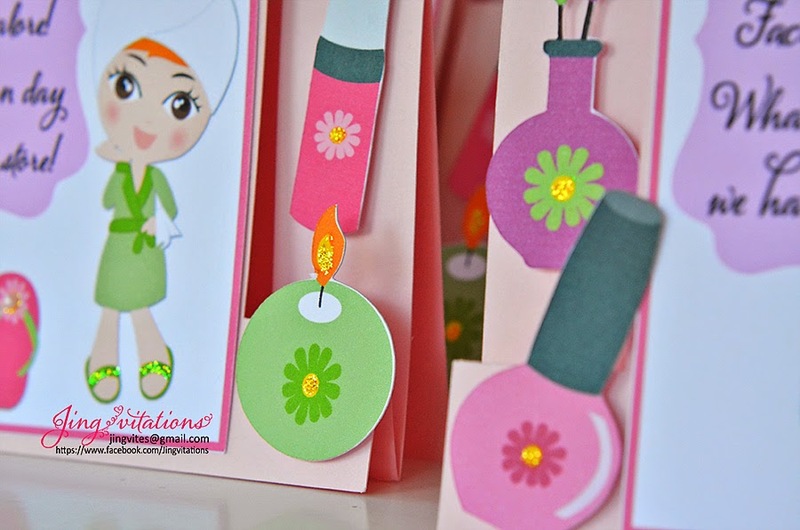 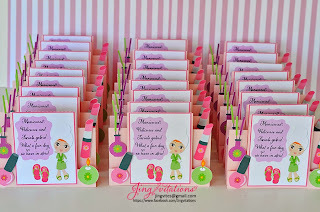 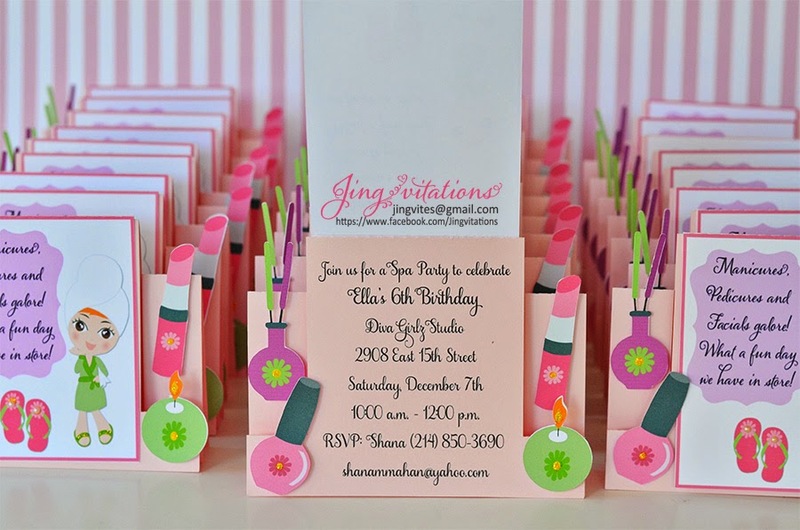 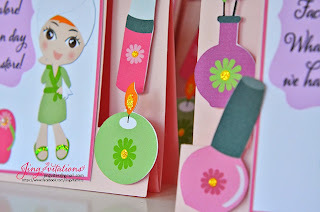 Gift bag tags match the colors of the invitations, embellished with girl spa clip art. 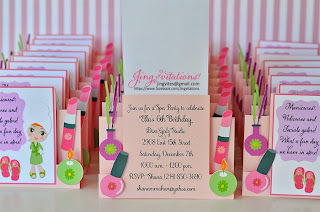 Table center set comes in 3 lollipop style designs, stick is tied with tulle and ribbons. 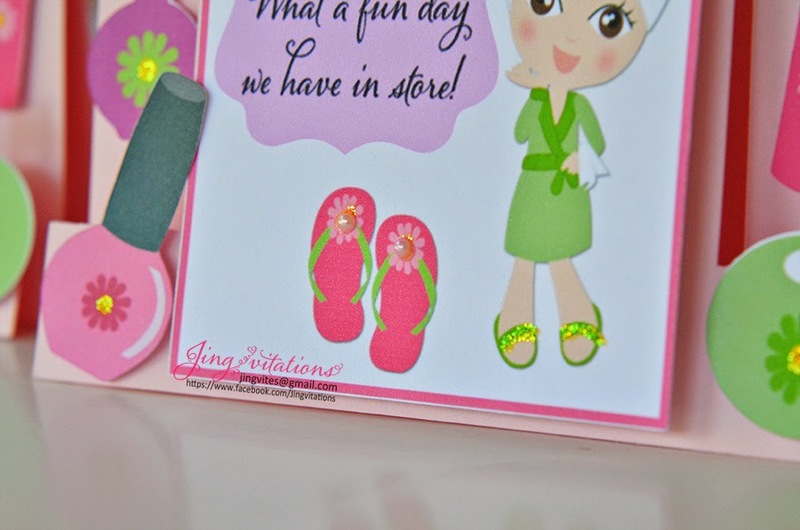 Embellishment is adorned with rhinestones.